As a brick-and-mortar business, it’s easy to get swept up in the buzz that is online marketing. Everyone is telling you that you need to be on social media, getting found on Google, and engaging with your prospects on a website. And yes, to be competitive in today’s cut-throat retail world that is true. However, there is still an important place in the marketing mix for in-store promotional ideas. In fact, one study found that 91% of shoppers make purchases based on in-store promotions, predominantly because they trigger emotional satisfaction. 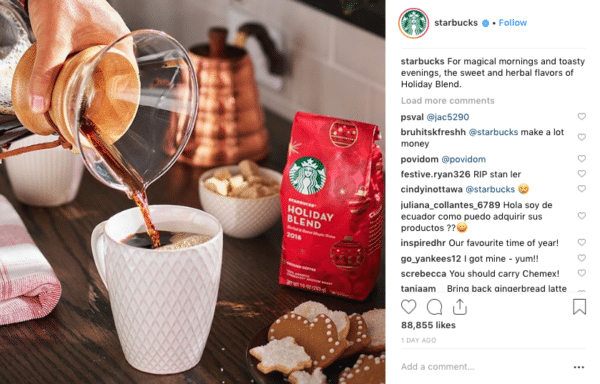 The businesses that will thrive this holiday season are the ones that combine digital and offline marketing tactics in a cohesive strategy that drives foot traffic, customer engagement, and buying behavior. Sound intriguing? Here are 13 in-store promotional ideas that will perfectly align with an active digital presence. A major restriction on sales for physical retail stores is their location. Basically, not everyone who wants or needs your products can make it to your destination. One way to overcome this is to sell products online, but there is another little trick that is well worth considering this holiday season. Why not take your store on the road? Earmark a series of fairs, events, conventions, and markets where you can set up a pop-up store and sell your most popular products. Sure, there will be some setup costs, but the extra foot traffic, brand exposure, and sales turnover will be well worth the effort. If you pick the right events! A local jeweler using a popup store to increase exposure. Customer reviews are a critical component of any business, but especially for locally based stores. It’s estimated that 78% of consumers trust local businesses when they have positive online reviews, not to mention that customer reviews are one of the top three influencers of local search ranking. So, not only will more positive reviews build credibility, but they will also get you more foot traffic from online searches. The biggest challenge with an effective online review strategy is convincing customers to submit a review. It’s not necessarily because your product or customer service didn’t meet their expectations, it’s just that they don’t have the time or forethought to make it happen. If you can engage customers at the point-of-purchase they are significantly more likely to review your store. So, make it as easy as possible for them to do so and incentivize the process. For example, you may offer them 20% off their next purchase if they log in to their Google account on your in-store tablet and place a review at that very moment. It may be a little too late for this year’s holiday season, but keep this in-store promotional idea in the memory bank for next year. Seasonal merchandise can be an effective way of attracting visitors to your store and increasing the per-customer purchase value. For example, you could release a Christmas-branded version of one of your products. Or, sell complementary low-end seasonal products that draw passers-by through the door, enabling you to up-sell your high margin products to them. The Starbucks “Holiday Blend” coffee bean release. There are likely an array of other stores near yours that sell complementary products and are looking to boost sales this holiday season. Would you agree? I’m not recommending a collaboration with your competitors, but if you sell pet products, why not partner with the dog groomer across the road to drive more sales for both businesses? Do some research into other local businesses that may be a good fit, come up with a compelling partner offer, and start promoting each other’s businesses. When it comes to growing your email list during the holiday season, it’s logical to think about online tactics – such as contests, discount offers, or post-purchase service promises. However, in-store promotions can be extremely effective at growing your database too, and a lot of businesses are missing the opportunity. Just like in the online world, people are more likely to give up their contact information in exchange for something of value. The simplest option is a discount on their next purchase, but you could also get creative by offering them a novelty seasonal add-on product, or personalized post-purchase services that relate to the product. Either way, don’t miss the chance of getting a customer’s information when they buy in-store! Alignment between your online and offline promotional campaigns is a strong determinant of success during the holiday season. So, think about how you can deliver promotions in-store that work in tandem with social media. And vice versa. For example, you may create or choose a relevant holiday hashtag to use for a promotional campaign. You can prominently display this in your store and encourage shoppers to use the hashtag to show off their latest purchases. On the flip side, you can run social media ad campaigns, influencer campaigns, or contests to drive foot traffic to your store and develop a stream of active conversation using the same hashtag. 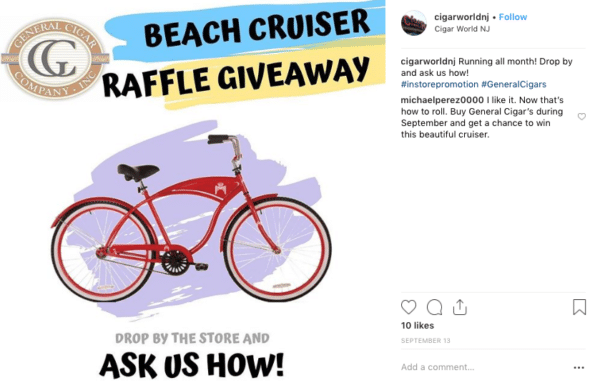 An example of a social media campaign designed to drive foot traffic to a store. If I say the words “split testing” or “A/B testing” you probably think about online advertising, landing pages, and click-bait headlines. But you can take the premise of this concept and apply it to your in-store promotional ideas too. Product shelf placement or in-store position. Discount label colors and copy. The type of deals you offer. A variation in customer service levels. For example, see if greeting customers is more effective than not greeting customers as they enter the store. There is an almost endless number of things you can test, but make sure you keep it simple to start with! Most shoppers who enter a store, much like those that visit a website, have little idea about where to find what they need. So the design of your store and the strategy you use to position your products is essential in driving up sales. For example, would you leave your best-selling and highest margin products hidden in the back corner? Of course not! Group related items and place them in the same section. Utilize multiple shelves and give prominence to your best-selling and highest margin products at eye level. Analyze the typical walk-flow of your customers and place your best-selling and highest margin product categories in the most trafficked areas of your store. For products that generate a lot of revenue, but are low cost for customers, place them near the checkout. If it doesn’t make sense to create a whole new seasonal product for your business, you could get into the holiday spirit by changing your packaging. Color psychology and buyer behavior tell us that the red, white, and green of Christmas catch the attention of potential shoppers. People associate these colors with gift-giving and it triggers an emotional sensation priming them to buy. Social media influencer campaigns are all the buzz at the moment, and it’s understandable, given their impressive ROI. But have you considered working with influencers in your store? In-store influencers can be a huge drawing card for retail businesses during the holiday season. You may choose to work with a local celebrity or an online influencer and have them greet guests for a day, for example. 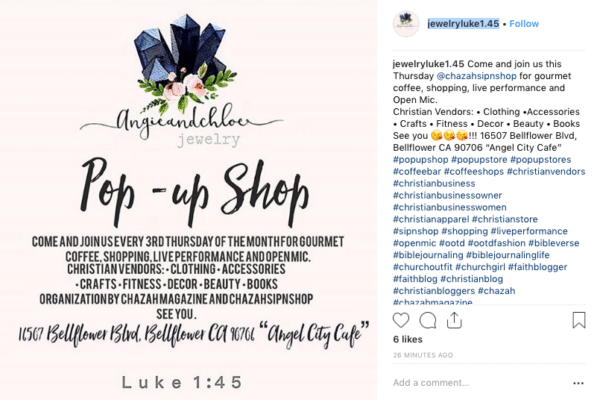 If you can effectively pre-promote an event like this using digital marketing and leveraging the influencer’s local reach it could significantly increase your foot traffic. Ever used or seen an exit-intent popup window on a website? They are an amazing way to re-engage prospects just before they leave your website with a compelling offer to stick around or sign up for your email list. Why not use s similar concept to engage customers in your store just before they leave? You could trigger a deal announcement, strategically place discount signs at the exit, or have a customer service rep waiting for customers as they leave with an interesting offer. The more you can entice customers to stay in your store the better chance you have of closing a sale. Is your store using beacons to deliver deals to customers as they pass by? It may sound like something from the future, but beacon technology generated over $44 billion in retail sales last year. Basically, if a customer is in the proximity of your store, has Bluetooth enabled on their smartphone, and has downloaded the right retail apps, you can send them highly targeted notifications when they are literally meters away. Shopkick’s retail beacon technology in action. Contests, online and off, are a proven formula for customer engagement and lead generation. But more and more businesses are running online-only contests rather than garnering entries in-store or at offline events too. If you plan on running a contest this holiday season, combine the powers of both worlds by enticing in-store customers to join the party. Use a tablet to capture entries in person as your staff engage with customers, or alternatively, provide a submission box that customers can enter without any guidance. How do you plan on combining in-store promotions with your digital strategy this holiday season? Will Blunt helps content teams and digital agencies manage, improve, and scale their content marketing efforts with the assistance of outsourcing and technology. He is the Founder of FlypChart, a content planning and collaboration tool. Connect on Twitter here: @WillBluntAU. Read more articles by Will Blunt.